The Bank of Japan may take steps to tweak its monetary policy and reduce stimulus for the first time since 2016 causing investors to sell bonds globally. The 15-year gilt yields are higher by 3 basis points during the month after reaching to 1.47% and recovering back to 1.61%. 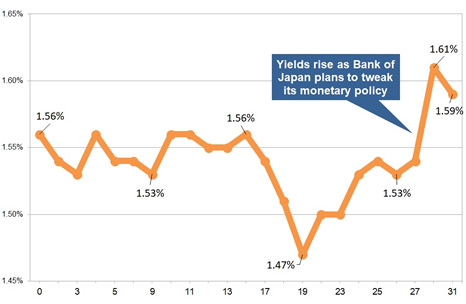 The rise in yields was due to investors selling bonds around the world after Japan's central bank, the Bank of Japan, reviewed its monetary policy with the intention of reducing stimulus to increase inflation. A similar stance was taken last month from the European Central Bank (ECB) indicating the end of the asset purchase programme expected now in the summer of 2019. 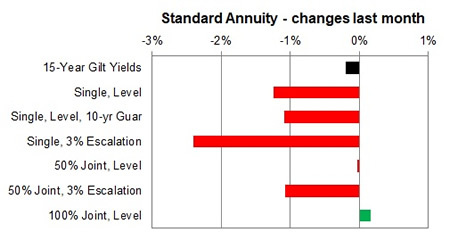 The 15-year gilt yield increased by 3 basis points to 1.59% during July 2018 with providers of standard annuities decreasing rates by an average -1.30% for this month and we would expect rates to rise by 1.60% in the short term if yields do not fall. 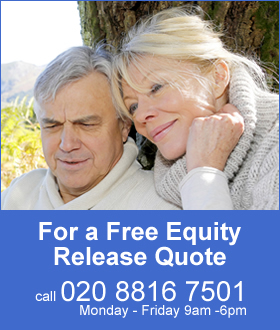 For smoker and enhanced annuity providers have decreased their rates by an average of -0.41% and rates may rise by 0.71% in the short term if yields do not fall. For the month of February 20% of annuity rates increased by up to 2.4% with 12% remaining unchanged and 68% decreasing by up to -5.4%. 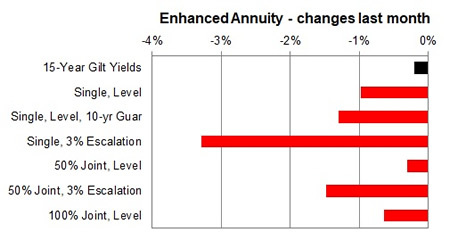 Standard annuities decreased by an average of -1.30% during the month. The largest rise was for those aged 75 based on a single life with 3% escalation down by 5.4% for the month with the largest increase for those aged 60 on a single life level basis up 2.1%. For enhanced and smoker the majority of rates decreased by -0.4% for the month on average. The largest rise was for those aged 60 based on a single life level basis up 1.0% for the month with the largest decrease for those aged 60 on a 50% joint life with 3% escalating basis down -2.9%.